of the United States Navy Heavy Weather Mooring Codes. 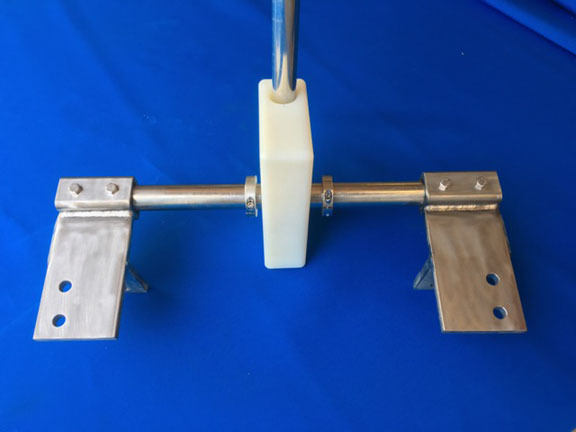 and TideSlides do NOT need to line up with your cleats. 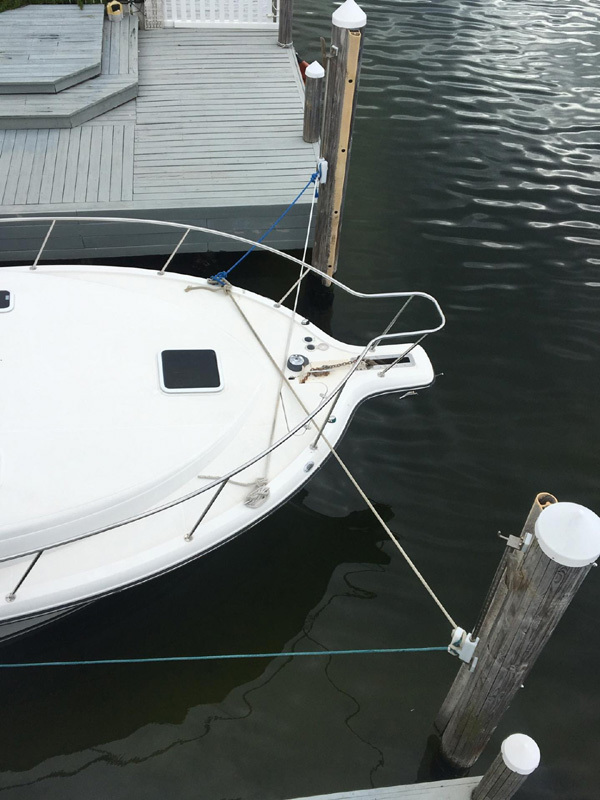 Pictured above is a 55' Boat on a 2 point One side tie-up. NOT have to line up with your cleats. 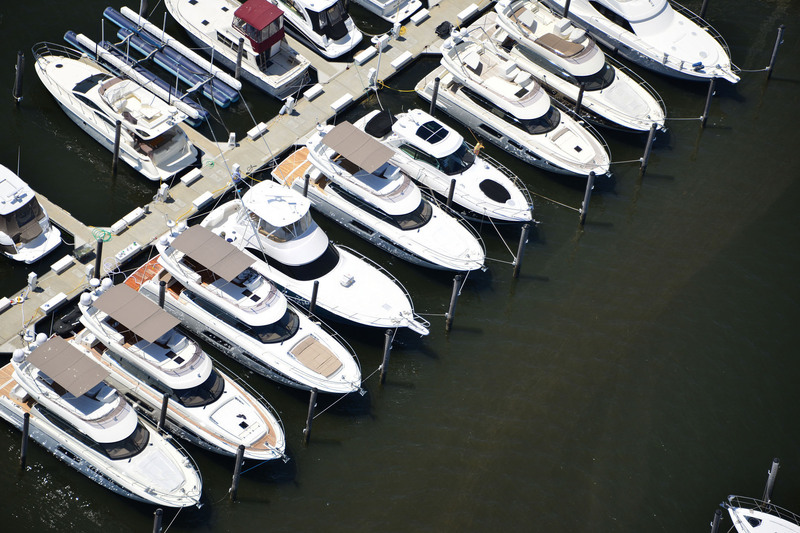 Pictured above is Staten Island Yacht Sales and Marina, Staten Island, NY The entire marina was rebuilt with TideSlides after the devestation of Hurricane Sandy! 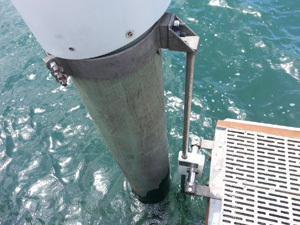 Pictured left is a Rampage Yacht using a typical 4 point tie-up with YS Series TideSlides. 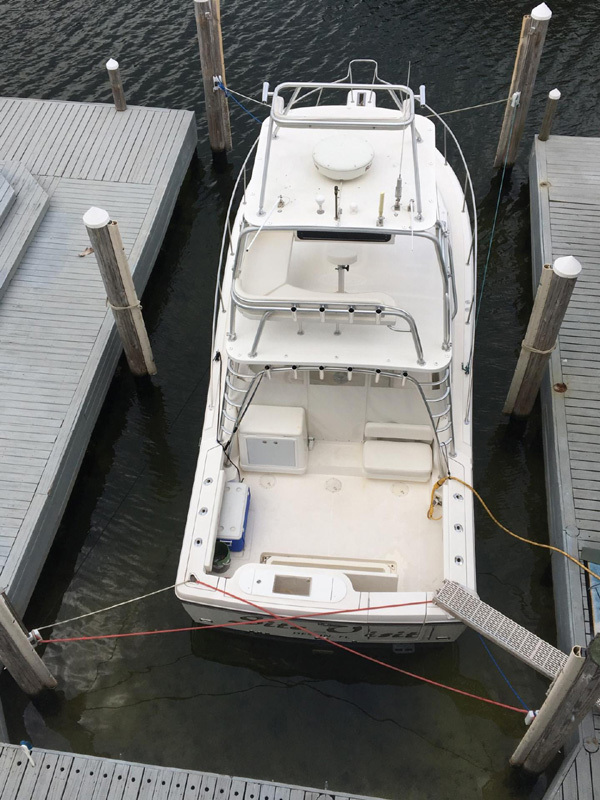 This vessel was prepped for Harvey and Irma and ready for action. 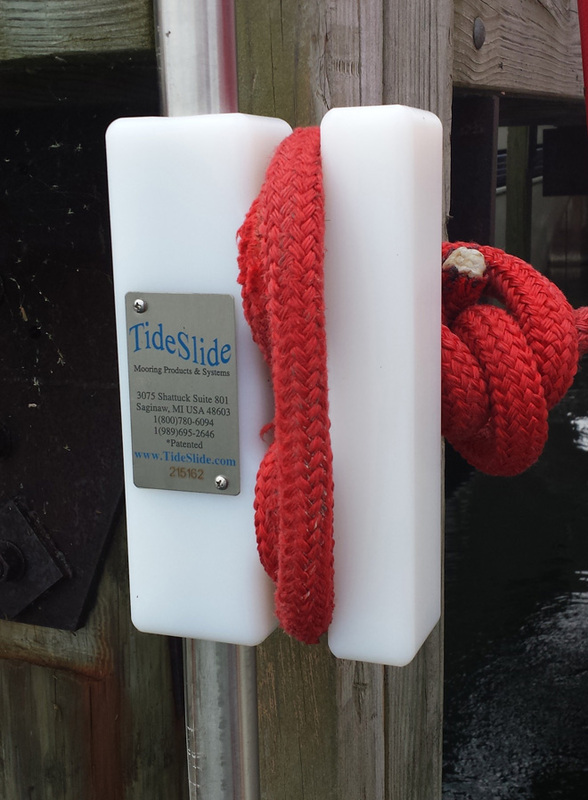 Capn John said, "TideSlides performed without a hitch." 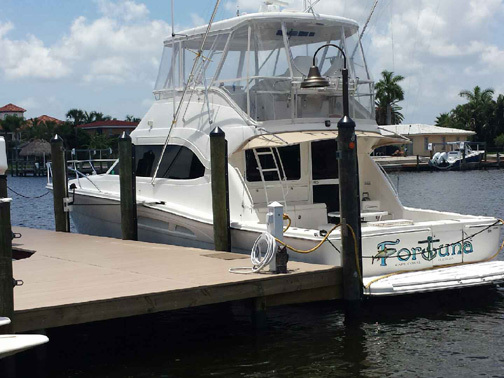 TideSlide Dock Attachment Systems provide 4 dimensional adjustment and secure attachment of your floating docks. TideSlide System during Hurricane Irma in S. Florida during height of storm 90-110 mph winds! TideSlide in a South Florida Storm side tie up with 2 YS Series TideSlides. "Your Berth Control is Our Business!"